When I grow up (which will never happen) and have my own house that is big enough to have a real Christmas tree (which hopefully will happen), I am totally stealing this idea. 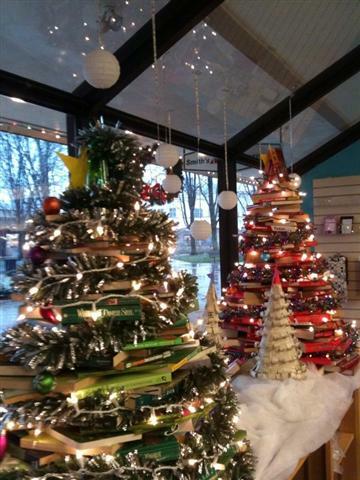 From yesterday's Shelf Awareness: Christmas Trees made of books at Chicklet Books' store window in Princeton, NJ. The store owner says, "Books are made from trees... and now trees are made from books!"